Midfielder who made 4 appearances for the Dutch national team from 2001 to 2006. 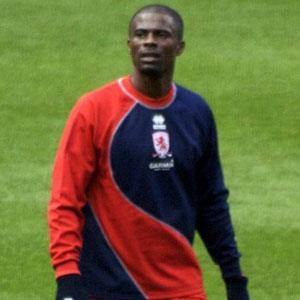 He was a member of Aston Villa from 1999 to 2002 and Middlesbrough from 2002 to 2008. He debuted professionally for Excelsior in 1994. He made 68 appearances for Feyenoord from 1995 to 1998. He was born in Nkawkaw, Ghana. He and Robin van Persie were teammates on the Dutch national team.